Two UFC greats collide for a second time when former UFC light heavyweight champion Vitor “The Phenom” Belfort faces PRIDE two-division titleholder Dan Henderson on November 9th in Brazil. In 2006, these two superstars met for the first time, with Henderson turning back the challenge of Belfort. Now, seven years later, it’s a pivotal meeting of two exciting strikers looking to keep their world title hopes alive on MMA’s biggest stage. 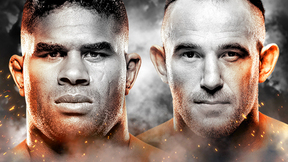 UFC Fight Night: Belfort vs Henderson – Saturday, November 9th, live from Goiânia Arena in Goiânia, Brazil.